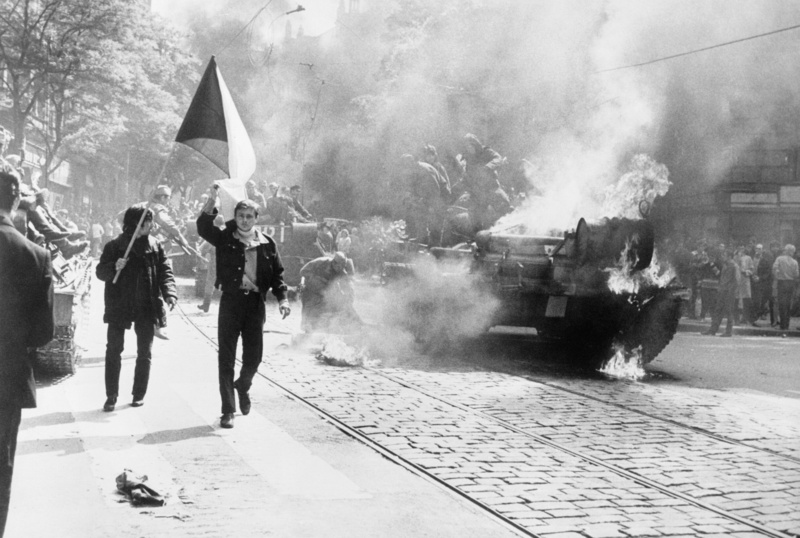 Starting on August 20, 2018, Blinken OSA covers the 1968 invasion of Czechoslovakia “live” with close to 4,000 news items issued by the Central News Room of Radio Free Europe (RFE), between August 20 and September 10, 1968. The documents are published online exactly 50 years after their initial release to RFE’s national broadcast desks for dissemination. The public will be able to follow the unfolding of the invasion as the Central News Room issued incoming information sometimes by the minute. Blinken OSA’s new website dedicated to the Czechoslovak crisis of 1968 also features a compilation of photographs documenting the operation of the Central News Room, a collection of photographs on the occupying forces entering the town of Košice, as well as a rare set of original leaflets protesting against the Soviet-led invasion from across Czechoslovakia. From the beginnings in 1951 until the moving of RFE from Munich to Prague in 1995, the Central Newsroom (CN) was in charge of providing news pieces for the radio’s programmes. News agency reports were edited in the CN and then sent out as one page documents to the Czech, Hungarian, Romanian newsrooms where they were edited yet again and broadcast in the hourly news programmes. Blinken OSA’s new collection will publish nearly 4000 news pieces “live” between August 20 and September 10, 2018, precisely - to the minute – 50 years after they were created. Photos recording the operation of the Central Newsroom will also be published as part of this new online collection. In these photos CN staff, telephones, typewriters, telegraphs, and printers are shown. Some of the later pictures feature special text editing machines equipped with monitors, designed especially for RFE. Night time photos prove that the CN operated round the clock, 24 hours every day of the week. In August 1968, a photographer, Gabriel Bodnár walked together with the locals in the streets of Košice. The photographs he took are also part of Blinken OSA’S new online collection, showing the flowing crowds, tanks, graffitis, and the astonished expression on the faces of passers-by. Many of the large number of leaflets circulated in the streets during the 1968 invasion across Czechoslovakia made it into the headquarters of RFE in Munich, and from there to the Vera and Donald Blinken Open Society Archives at Central European University in Budapest. Some of these leaflets were addressed to the occupying forces in Russian or in German, some were created by the occupiers, while others were written by groups of locals to their compatriots. 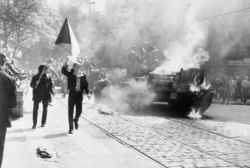 For more information on how RFE covered the 1968 events in Czechoslovakia, please visit RFE's special website dedicated to the topic.